As hostile as Corel's community is, I'll give them credit for at least paying attention to safe computing on Windows. That's more than I can say for Adobe. FOOL ME ONCE, shame on you. Fool me three times, shame on me. When I started looking for replacements for Corel's Roxio-branded media creator suites, I had this phrase in mind. It's bad enough I had a suite of applications with no end of trouble, but I encountered a community that was downright hostile toward anyone who would dare suggest their products had bugs. 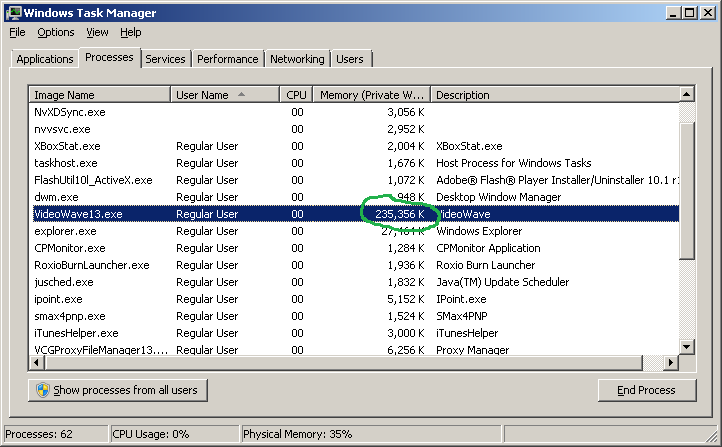 "Why, there are no memory leaks in Roxio products," says one forum moderator. Bull - [censored] - [censored]. In what little time I've had between contracts to look, I haven't found a video editing suite I really liked that was also affordable within a limited budget. So I thought I would finally consider saving my money for Adobe's Premiere, or barring that, maybe Premiere Elements. I had not used a suite especially designed for 64-bit Windows before, and I had hoped Adobe would uphold its reputation for, erm, "quality software on the Macintosh," on the Windows side of things. Then I'd argue you're not doing things right (like using IE instead of Firefox with appropriate security plug-ins). -- Jim Simon, MVP, Adobe Community. Let's see, I'm an IT professional of twenty years, a fanatical tester of bad software, and a practitioner of safer computing on Windows since 2003. And I'm not doing things right. Now, that is a reason I can get behind, for Apple to be hostile toward Adobe these days. I'LL GIVE COREL CREDIT for at least paying attention to safe computing on Windows. 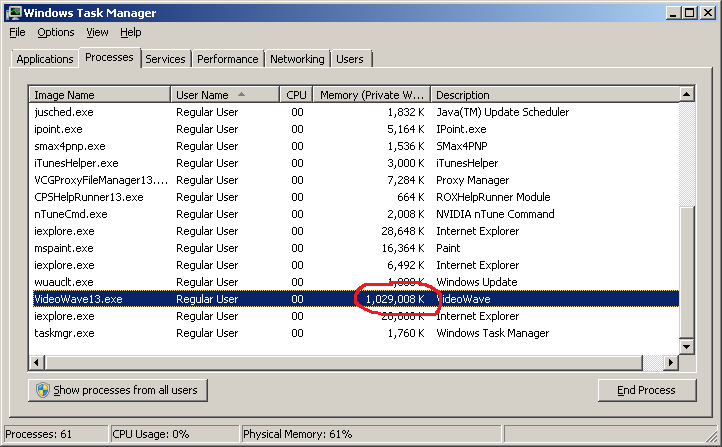 Memory leaks or not, at least Creator 2011 ran with safe computing in mind. And it worked just as good, or bad, on Windows 8 as it did on Windows 7. While I am still afraid to look at Creator NXT, at least they took the effort to have Microsoft test it for Windows 8 compatibility. The "Windows 8 Compatible" logo proudly displays on the box and on the website. I don't see it on any of Adobe's products right now. Maybe Corel has finally fixed the memory leaks that aren't leaking memory? I don't know. But at least Corel is making the effort. That's more than I can say for Adobe.